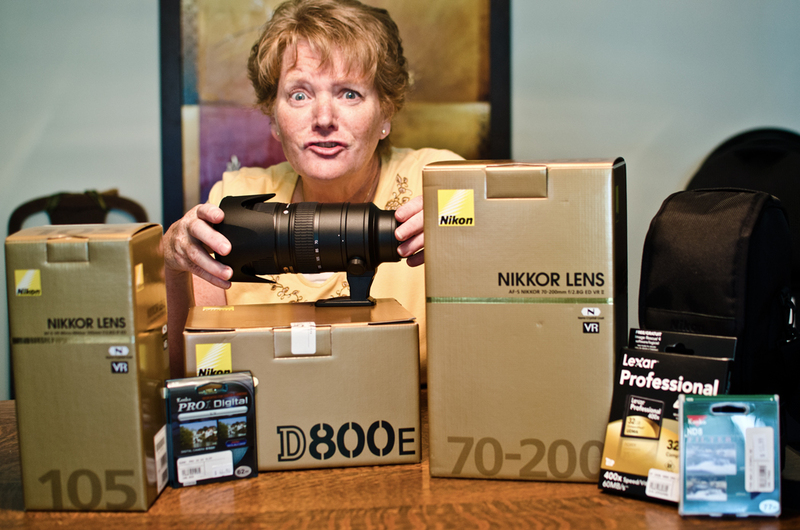 Me ‘n my Brand New Nikon camera gear! This blog will follow my journey from a Semi-Pro Nikon D7000 user, to a Pro Nikon D800E shooter. My first posts will follow me as I shoot using the in-camera factory settings, and then work through all the amazing features and settings that this amazing piece of technology has to offer. Hope you’ll enjoy following along! Right now . . . I’m just in shock! And I’ve got to get reading . . . so will be back later with some of my first pics with the Nikon D800E. This photo was actually taken with my Nikon D7000 as I still hadn’t taken the new camera out of the box. congratssss !!! can’t wait to see the photographs ! Thanks . . . it’s a bit overwhelming but I’m having so much fun learning!